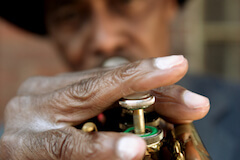 Spend two exciting weeks discovering the birthplaces of Jazz, Blues, Soul and Rock’n’Roll. 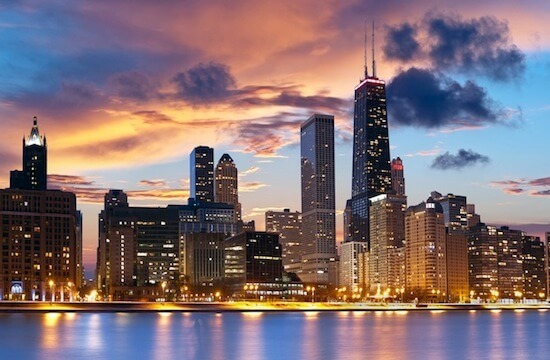 The musical sounds that have enriched all our lives were all established along this particular route between Chicago and New Orleans. 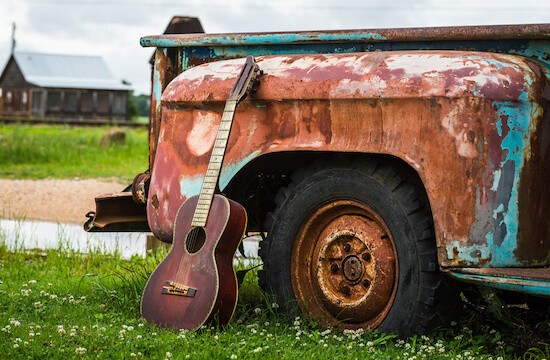 This epic musical journey is a must-do road trip for all music lovers interested in discovering the origins of the music genres we hold dear to our hearts today. 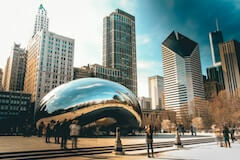 All of our American road trips can be tailored to meet your exact requirements. Perhaps you have more or less than 14 days to complete your road trip? No problem, we can bolt on extra nights to allow more time to explore or shorten the number of destinations as required. Just let us know when requesting your quote. The trip really helped us understand where and how today's music came about. On your way to Louisville, you'll pass by Indianapolis. Motor sport fans might want to check out Indianapolis Motor Speedway, home to the Indy500 and more. Next, you'll cruise south to Louisville which you may know due to it's rich horse racing pedigree, after all it's home to the legendary Kentucky Derby. Or, maybe you've drunk a drop or two of bourbon with Louisville written on the label? 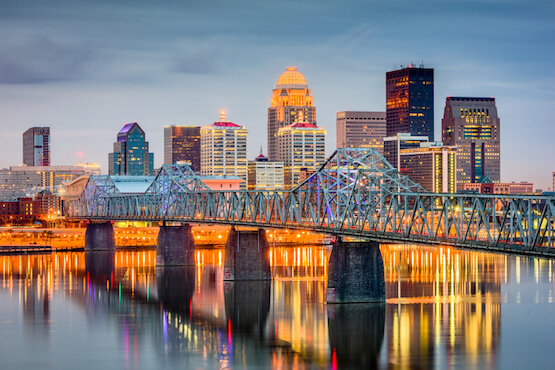 Additionally, Louisville is famous for folk music, baseball and amazing fried chicken. A full day to explore Louisville's highlights, options include (but are not limited to) a visit to the beautiful Churchill Downs racetrack, educating yourself on the life and times of arguably the greatest sportsmen of the 20th Century at the Muhammad Ali Center or maybe just spend the afternoon and evening sampling the products of the numerous bourbon distilleries found in the city or along the Bourbon Trail. The home of Country Music and very proud of it. Nashville boasts about it's musicial heritage at every opportunity. Home to the Country Music Hall of Fame, and the legendary RCA Studio B where Elvis, Dolly Parton and Willie Nelson all recorded hits. 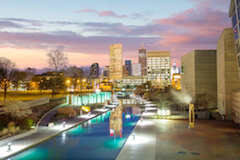 It's not all about country music mind, the region has a rich blues history too with singers and songwriters from every genre calling 'Music City' home. 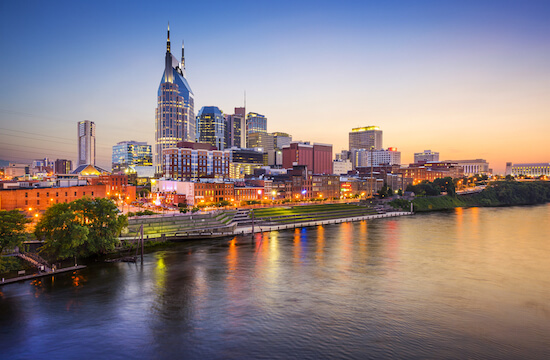 Enjoy a full day in Nashville. 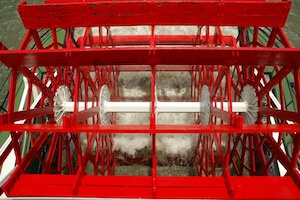 Head to the John Seigenthaler Pedestrian Bridge (colloquially known in Nashville as simply the ‘Pedestrian Bridge’) which spans the Cumberland River. You’d be hard-pressed to find a better view of the Nashville skyline anywhere. After the sun sets and for the full tourist experience, head down to Broadway and stop by a honky tonk or two for a one-of-a-kind night of drinking and live music. Today you'll leave the home of Country music and go in search of the spiritual homes of the Blues, Soul and Rock'n'Roll. To get you there you'll follow the first half of the Natchez Trace Parkway, which was originally an old Indian trading route, but today it's used as a serene way to cruise over to Muscle Shoals, where artists like The Rolling Stones and Aretha Franklin recorded hits, before moving you on to Tupelo, the small town southeast of Memphis where Elvis was born and raised. Today is all about the King, Elvis Presley. Start the day off by visiting the tiny house Elvis was born in and the neighbouring church where he sang as a child. You'll then leave Tupelo and move onto Memphis, along the way you'll pass Graceland, the final resting place of Elvis. Second, only to The White House, Elvis Presley’s Graceland is arguably the most iconic home in America and a must-see place for anyone visiting Memphis. 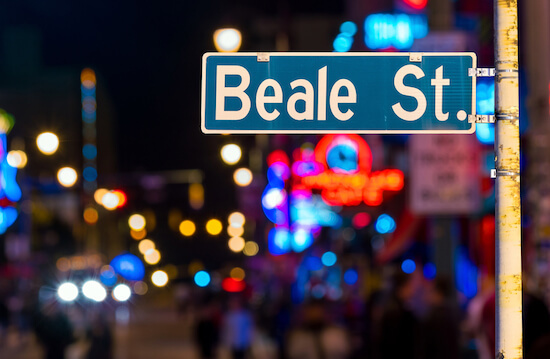 Finally, after settling into your Memphis hotel, we highly recommend you hit Beale Street for live music, soul food and dancing. Enjoy another day exploring Memphis! Memphis has plenty more to offer, including the legendary Sun Records Studios and the moving National Civil Rights Museum. In our humble opinion, Memphis is the Barbecue capital of America so make sure you try a rib joint or two. As always, your personalised Road Trip Pack will show you the full range of things to see and do in the city, you can do as much or as little as you like. Today you'll drive south through the cotton fields of the Mississippi Delta, exploring towns like Clarksdale, Indianola and Cleveland as you go. These towns were the birthplace of The Blues and thus Rock'nRoll as we know it today. 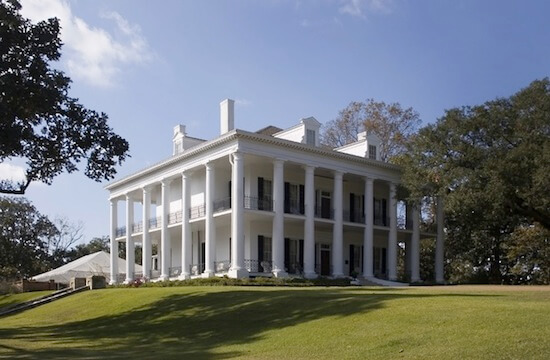 By the time you reach the plantation houses of Natchez, your understanding of 20th Century music will be transformed. End the day by taking in a tour of one of the many plantation houses found in Natchez or go for drinks at the Under the Hill Saloon. 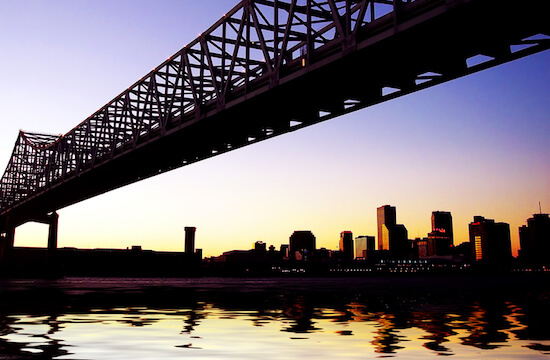 Continue south along the Great River Road to your final destination - New Orleans. 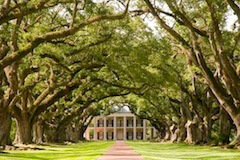 Along the way, we highly recommend that you stop-by Oak Alley Plantation for a quick tour of the house and grounds. If you only do one plantation home, then this is the one in our opinion. 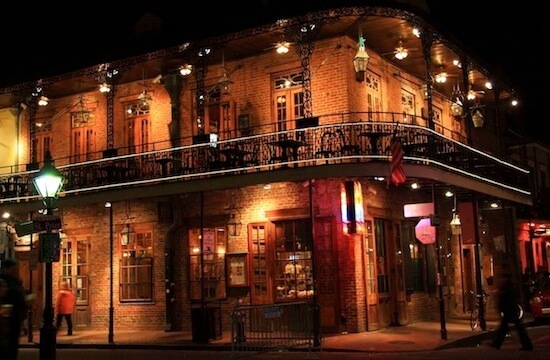 Once you arrive in "The Big Easy", the French Quarter will be waiting to offer you dinner and drinks, and all that Jazz. Built on the mouth of the Mississippi, New Orleans is the home of the jazz, voodoo and the craziness that is Mardi Gras. The French Quarter offers so much charm and it's a great place to take a walking tour, sampling great food and live music as you stroll. 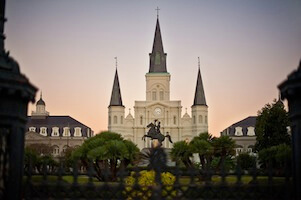 Enjoy your last day in New Orleans-The Big Easy! This will be your final full day to explore New Orleans must see attractions, the following day you'll leave for the airport in order to fly home. Whether you call it NOLA, The Big Easy or just plain old New Orleans, we're confident this lively city will stay with you for many a year. 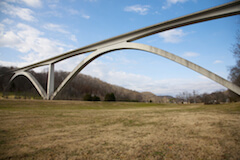 Don't forget to check out this road trip's Itinerary tab to see more amazing pictures from our "American Music Tour" . You'll also be able to read a little bit about what you'll be getting up to on each day of this incredible road trip adventure.